Parenting is a very individual experience and one that many can struggle with as there are just so many ideals and beliefs on what a parent should look like and behave like. There are also many parents who may make it look like everything is ‘all good’ on the outside but really you can feel that this may not always be the truth. Even writing on the subject of parenting felt like a topic that only certain people could possibly write about. I have often thought that I was not a very good parent, but can today question this: by whose standards am I not enough? I can now clearly see how much I have compared myself to others, rather than really appreciating myself and my own experience of parenting. I now know that I am a great parent and the evidence is in my child, but I’ve realised that I don’t need any set result to be a parent, I just need to be my true self. Parenting is a very individual experience and one that many can struggle with, particularly if we let ourselves be run by the many ideals and beliefs on how the perfect parent should be. I know that I have had many pictures in my head about what the perfect parent should look like. One thing is for sure, I am not perfect and parenting really has taught me so much and continues to do so every day, in so many ways. It has not been easy and there have been many times that I have wanted to give up and run away, but I am still here 12 years later and I can look back on those years and really appreciate how far I have come and all that I have to offer as a parent, not just to my child but to all children in my life. I have learnt from my mistakes and have come to appreciate that as well as all the awesome choices I have made, and that is all that matters. We make mistakes, so what? What matters is how we deal with them and what we do next. I am a single parent and have always used this fact to confirm to myself that I was somehow a victim, and that being a parent is so much harder for me, but the truth is, it really doesn’t matter whether you are single or not, it is how you choose to parent that matters most and that of course will depend on the individual child, as no two children are the same or need the same life teachings. I used to think that it was hard as I was alone in this role of raising a child and everything depended on me, and if anything went wrong, or if my child made the wrong choices, it would be all my fault. How wrong was I! First of all, to even think that I am the only person in my child’s life and her only influence is just crazy. I used to keep us separate from others without realising, and these days I have turned that around. I now choose to let us be part of other people’s lives and ask for support when I need it. I used to think that asking for support meant that I was a failure, but realised that was just a belief I wasn’t aware of. What this has allowed me to see is that we are never alone and that we are part of a much bigger family, and that there is so much support there for us. It is amazing to recognise the impact this has on our lives. Recently we celebrated my daughter’s 12th birthday and I decided to have a family dinner, as she didn’t want a party. It was very special as when thinking of who her family was, I had to invite quite a lot of people. The concept of family just being blood related is so restrictive and we all miss out with that kind of thinking. We used to think our family was just my daughter, myself and my dad, but this family gathering had 4 mothers, 2 fathers, 3 grand parents, an uncle and aunt and 6 siblings. How much we share and let others support us really is up to us. I no longer choose to be a single parent and go it alone. I have also seen my responsibility as a parent does not only include my own child, but all children in my life equally, as they are all equally important. This does not mean I have to control other children but, rather than leave things to their mum or dad to sort out, I can talk to anyone’s children and bring their awareness to what’s going on. I can also encourage them and confirm them in ways that perhaps another cannot. If we all express our special qualities and what comes naturally to us and share this with others, we all benefit. Another big belief that I have had is that everything that my child chooses is my fault. I have come to realise and accept that I am here as a role model and as a reflection, but it is up to my child and other children in my life to make their own choices. It is not my right to try to control or need things to be a certain way. I’ve realised that I have no right to try to coerce my child to excel in a certain area of school because I might need that for my own recognition. It is also not my place to get in the way of her life and to fix things for her, otherwise she will not learn from her own choices and consequences. This has been a big lesson for me to learn and to surrender to – and one that I am still working on as I become more and more aware of my tendency to want things to be a certain way. One thing that I am really learning about these days is my responsibility as a parent. I can honestly say that I have been through and trialled a few different parenting approaches and one that didn’t work at all was the ‘laissez-fair’ approach, which translates into just letting children do their own thing. I also tried the ‘no boundaries’ approach and let my daughter be a ‘free spirit’, but I am still dealing with the consequences of that today. I’ve learnt that what does work for me is consistency, and boundaries are a loving thing to have in place as children then have a solid concept of what is okay and what is not. I used to need my child to like me and to be my friend, but because of this I was so easily manipulated into doing things that I didn’t want to do, or I allowed myself to be walked over. Through realising how damaging that was I have now stopped imposing myself on my child. She is not here to make me feel enough, or so I can be identified by her. We are both here together to learn from each other, and we are equal, but as her parent I am here to show her by example rather than say one thing and live another. I am here to support and guide her but not control her. I am here to be me so that she can see that just being herself is enough and that she doesn’t have to do anything to be someone, as she is already amazing as she is. Woman of the world, sailed right around and now feel my feet firmly on the ground. Always been too busy, rushing and taking on too much but my body has put a stop to that, and now I am learning to slow down. I like writing, painting, taking photos and walking down the beach, as well as getting my hands in the dirt and watching my garden grow. I own a business, I am raising a child and learning each and every day that it's not about what we do, but who we truly are. Thank you Rosie, we can all re-learn how important parenting is and that self-parenting can set a trend for every other relationship we have as we never stop parenting in one form or another. ‘I’ve realised that I don’t need any set result to be a parent, I just need to be my true self.’ It is so liberating to let go of any ideals and beliefs we have about parenting and simply be ourselves as we are doing it. I know that my children love me for who I am and the more I let them see the true me, the more settled and happy they are in our relationship. At the end of the day all our children really want is to connect to us and us with them, and for me and my children when we meet each other on this level we are all in joy. What arises in a relationship between a parent and child is the opportunity for growth. It is not about the parent telling the child what to do or trying to fix them but being open to what is on offer for all parties to deepen the relationship by deepening the relationship to self. Rosie, this feels so true; ‘How much we share and let others support us really is up to us. I no longer choose to be a single parent and go it alone.’ I love to ask for support from people that I know in my community and enjoy supporting others, this feels very natural and is a win, win situation for everyone. Great article. It is lovely to read that you are appreciating yourself, this feels important to do as a parent, there is so much advice about parenting which can be really confusing. Parenting in a way that feels true for us and our child is the most simple way of parenting. A beautiful lesson on parenting and an inspiration for all the children in your wider family of how we are all responsible for raising each other. Since having children I realise how it takes a community to raise them – not just blood family but people around you. 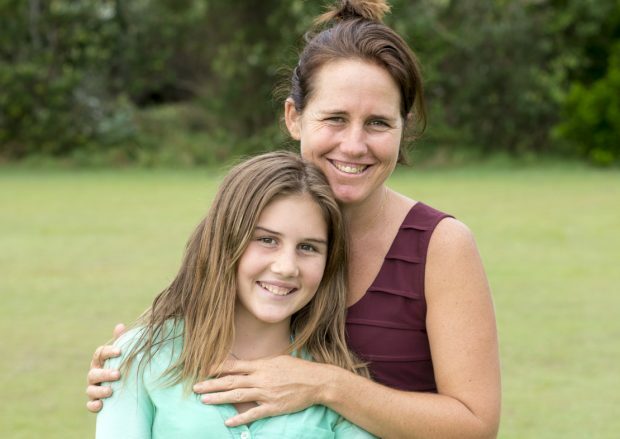 I now have many role models who are part of my children’s lives – and it is a joy to see that parenting is not just about mum and dad but about a community working together. Great blog Rosie, so much to learn about parenting starting with how we parent ourselves. I had four children to parent on my own for quite a number of years, and yes I did have boundaries but there was a lot of control, it was do as I say, and the thought of looking for support was out of the question, I felt at the time I had to go it alone. I love how you have let go of the ideals and beliefs around parenting and found that being true to your self, finding your own truth, and holding your daughter as equal with her own wisdom to share, also opening up to realise that we are all one big family, living on planet earth. If there is something that is profoundly and disturbingly run by pictures and images, it is parenting. I can really relate to feeling the burden of being a single parent and that it was all down to me. When we were discussing it recently my daughter supported me to feel how quick I am to be hard on myself for the ‘mistakes’ I am so aware of having made but slow to appreciate the many things that I did well. I can’t change the past but I can be open to and appreciate how our relationship is evolving as 2 adults. Your daughters birthday meal sounded lovely, a mix of all ages coming together to celebrate her. My daughter had a similar meal last year and hasn’t stopped talking about it. She enjoyed it far more than any of her ‘parties’. Children have a wonderful way of teaching us that we have a lot to learn from them. And we can learn a lot if we get our arrogance and ‘better than you’ attitude out of the way and be open to learning. Yes, a friend pointed this out to me yesterday and it made us really laugh as I was caught up in blame or it’s nothing to do with me … when I was just not wanting to see what was actually being reflected to me in that moment. Brilliant Rosie – I feel what you share here can be applied to all relationships we have. It’s never our job to fix or to mould another into a picture we have but just to role model embracing Love. What another chooses to do with this is up to them, we align to the divine but can’t control what happens next. Yes, it does apply to any and all relationships. We can only be responsible for our part, live it and then allows others to choose their part. Great article Rosie, thank you. Love the concept of the fact that family is not necessarily blood family. It makes life so much richer and parenting so much easier and less of a struggle. Letting go of the perfect image that a parent has to do it all him or herself. I know! How often do we compare and how often do we appreciate. I know that for a long time I was well practised in criticizing and ripping myself to pieces rather than appreciating the good choices I have made. There is such a strong belief for many that as parents we have to ‘do it alone’ and that it is a ‘failure’ if we have to ask for support. When we look back at ancient cultures it was never just the responsibility of one or two people to raise a child but the whole family and community played a part as this is needed. It is our natural way to have many people play a part in raising and supporting the development of a child. We all have so much to offer by way of reflection to children, to keep them isolated with just one or two parents is a shame as they really do miss out. Many people realize there is a responsibility in parenting, but until we know ourselves, then we just cannot know or define what that responsibility is. Scratch the surface of most peoples lives and the perfect picture on the outside is seen as the facade it is. I like this and it is so true. It is refreshing when you meet people who are not putting on a front and are transparent and open. Seeing our mistakes for what they are, learning from them and moving on is the way to go, I love the book Whoops Oops by Sunlight Publishing as it is really great for both adults and children for learning to embrace our mistakes. Yeah, no point dwelling on your mistakes or beating yourself up as that just keeps you in it, rather than learning and moving on. I just love this blog – there are so many words of gold in it. “Parenting is a very individual experience and one that many can struggle with, particularly if we let ourselves be run by the many ideals and beliefs on how the perfect parent should be.” We set ourselves up to fail especially when we have a picture of how we ‘should’ parent. As you mention, we just need to be our true selves and feel what is needed in each moment. My daughter was having a go at me the other day saying just because you wrote a blog about parenting, doesn’t mean you are a good parent… and I have to agree, but its good to write about it, talk about and share because we all start to see that there are many of us, all with our own lessons and things to learn in this journey of parenting. Yes, I agree – that is how we all learn, through living life, learning from our decisions and learning from others too. Writing, reading and talking about our experiences is part of this because it shows us different perspectives and other ways of doing things that we might not have got to so quickly on our own. ‘It is not my right to try to control or need things to be a certain way. I’ve realised that I have no right to try to coerce my child to excel in a certain area of school because I might need that for my own recognition.’ – this is a biggie and something I have had to work very hard at. I have certainly struggled with ostensibly wanting to support my children so their journey post school is as ‘easy’ for them as possible in terms of job opportunities etc. All this translates into wanting them to do well at school so they have options after school. However, what I have come to realise is that because I wasn’t every engaged at school, my grades weren’t good enough to get into a lot of places and I felt a sense of failure as a result. This consequence was personal to me, as part of my learning, and has nothing to do with my children. So, to interfere in their learning is very dis-empowering for them. They need to have consequences for their choices, this is how they get to learn their lessons, which are unique for them, and in so doing, this is what stops them from repeating the same patterns over and over. The more we try to control outcomes for our children, the more we dis-empower them and retard their learning and evolution. I agree one hundred percent! I used to worry about my daughter having the same experience as me as I was molested as a child, but reality is, we are all here with our own lessons to learn as part of our own karma. Our children have their own and it may not be anything like ours. ‘I now know that I am a great parent and the evidence is in my child, but I’ve realised that I don’t need any set result to be a parent, I just need to be my true self.’ – love what you share here, Rosie. Needing certain ‘results’ to feel like we’re meeting the false ideals and beliefs we’re fed about what it is to be a ‘good parent’ is a ginormous trap that it’s so easy to fall into, I know I have. As you say, the greatest gift we can offer our children is to be our true selves and to meet them for their true selves whilst supporting them to share the love and light that they are in this world of ours, that can be very challenging to navigate at times. Be yourself and reflect that, then the child gets to see that they are enough just as themselves and they don’t need to try or morph into anyone else or do anything to be enough. Rosie, this is very beautiful and feels like true parenting; ‘We are both here together to learn from each other, and we are equal, but as her parent I am here to show her by example rather than say one thing and live another. I am here to support and guide her but not control her.’ I particularly like that we are to support and guide our children and not control them, I have noticed that if I try and control my son this feels hard in my body and he does not like this, I am learning that there is a different way and that he needs to make his own choices and learn from these, this feels much more true and empowering and much less hard in my body. Children has been taught to blame their parents, which they often do…. but giving them the power so to speak, to make and feel the consequences of their own choices, gives them the opportunity to be responsible or not and learn how it is up to them really. There is a quality of humility in accepting that we are all equal and learning alongside one another, that is one of the greatest gifts we can bring to parenting. There is a lot of pressure to be perfect and get it right….. but in showing others that we are not and that we are all equal and always learning, gives them permission to not be perfect too…. ah a sigh of relief! Rosie, this is such a beautiful article, there is much wisdom here that is really supportive to read; ‘I have come to realise and accept that I am here as a role model and as a reflection, but it is up to my child and other children in my life to make their own choices.’ I am learning that trying to control my child does not work, that my child needs to make his own choices and learn from his mistakes and that as a parent I cant protect him as this only causes frustration from him and exhaustion for me. There is a great difference between mothering and smothering. And you don’t need to have given birth to be in the position to do either….and we can mother or smother both children and adults. The most important things I am learning about parenting is the the same in every aspect of what I’m learning in my life, and that is to be and bring all of me without holding back. My reflection is what does the parenting. We can isolate ourselves so easily without seeing we are doing it and then run with the victim mentality that squashes any openness to support. Our children are already community beings, they know we are not here to live in isolation, so our fear of asking for help goes against everything the child knows to be true. Great blog for us all to read to remind us what we can offer our children as they grow up in our care. Yes it is quite common for us to isolate ourselves yet it is the very opposite of how we love to live, and unfortunately, the separate, isolated way has become more and more accepted yet not what we all deeply want or crave in our lives. I always said that I wouldn’t parent a child on my own without a father’s presence. This was a fixed picture I had about how parenting should be that was very far away from the reality. In fact we all are parenting all the time not only biological but of every children we meet with, of every children who see us in the street. So everyone has the opportunity of sharing themselves everytime as the example that they can be. When we see the whole picture, we are able to connect with the responsibility that this entails. We have so many thoughts and beliefs of how I will do it… (in an ideal world and perfect picture)!! but reality is not that. We are all parents and we can all make a big difference in each others lives if we are open to not making it about ourselves and supporting each other and not getting caught in any roles. Thank you Rosie, parenting can be an amazing experience when we approach our children or another person as an equal with the knowing that we are here to learn from each other’s differences and offer true support to be who they truly are. Yes Francisco, I agree. There is always so much to learn from each other and It can be very difficult if we have expectations, judgements and need things to look a certain way. Rosie, you should write a book on parenting. Your story has all the ingredients on what true parenting is about. With also everything that does not work. Thanks Willem, it is a great idea but I really at times struggle with the whole thing, so writing a blog is one thing, but writing a book is another. Maybe one day when I have mastered the teenage years I may, but for now, I am learning, experimenting, getting it wrong, learning, letting go of my own beliefs, healing my old hurts… its all happening and I wouldn’t want it any other way. At present I am seeing reflections of how I lived as a teenager and what troubles I caused to those around me and it is a great learning. Beautiful what you have discovered and are living as a parent. I don’t have any children of my own in this life but I am starting to discover that I am a parent to many children. That is enriching and gets me very much out of the ideal that a parent shoud “have” children themselves. All parents, need more parents like you around, as it is the friends and support that we have around who are not attached emotionally that can be like lighthouses in the midst of a storm, there to light the way when things get tricky.